A new study, published in the peer-reviewed journal, Vector-Borne and Zoonotic Diseases, investigated whether animals within certain taxonomic groups in North America have the potential to serve as ZIKV amplifying or maintenance hosts. 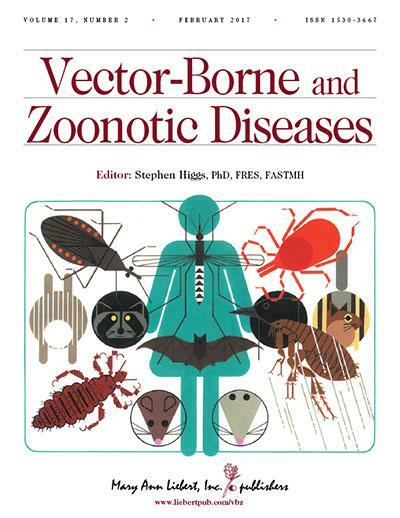 Vector-Borne and Zoonotic Diseases is an authoritative peer-reviewed journal published monthly online with open access options and in print dedicated to diseases transmitted to humans by insects or animals. In the article entitled “Investigating the Potential Role of North American Animals as Hosts for Zika Virus,” coauthors Izabela Ragan, Kansas State University College of Veterinary Medicine (Manhattan, KS), and Emily Blizzard, Paul Gordy, and Richard Bowen, Colorado State University (Fort Collins, CO) report on their experimental infection of animals common in North America. Species investigated included armadillos, cottontail rabbits, goats, mink, chickens, pigeons, ground hogs, deer mice, cattle, raccoons, ducks, Syrian Golden hamsters, garter snakes, leopard frogs, house sparrows, and pigs. The researchers tested the animals’ blood for the presence of infectious virus and antibodies to Zika virus. The study indicates that the animals tested to date are unlikely to act as animal reservoirs for ZIKV, but that rabbits and pigs could potentially serve as sentinel species in North America where virus is transmitted by A. albopictus, which will feed on these species. .